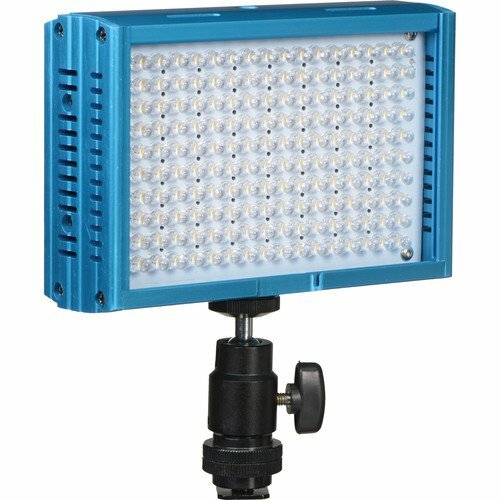 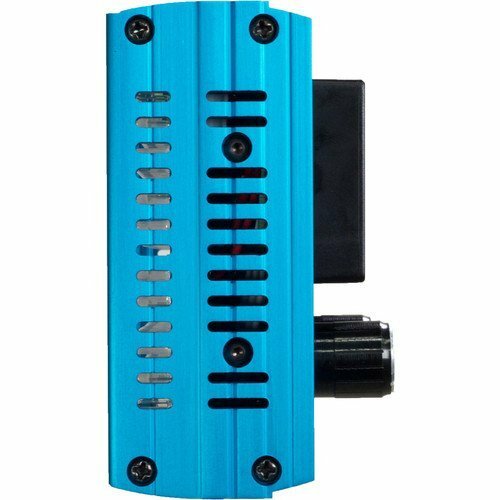 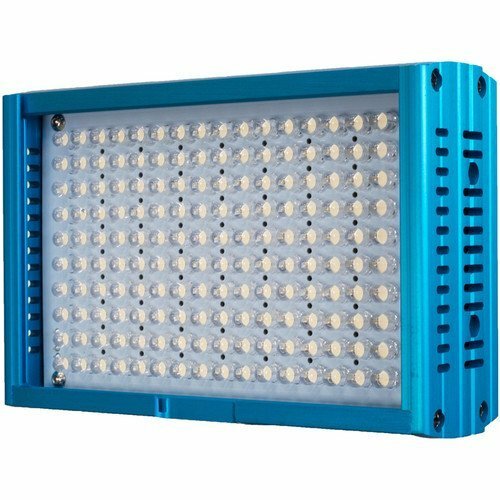 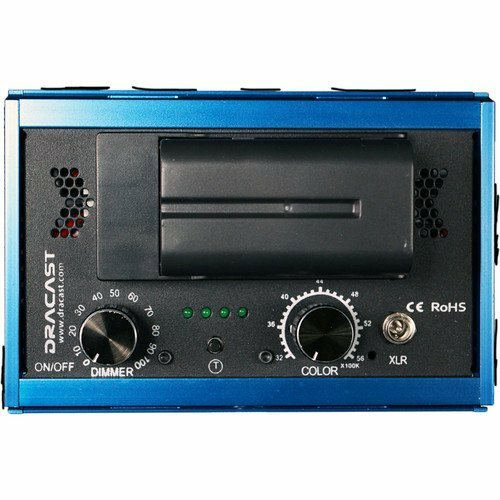 This is a 3200-5600K variable-color Dracast LED160 On-Camera Light, housed in an aluminum, blue case and measures a compact 6 x 4″. 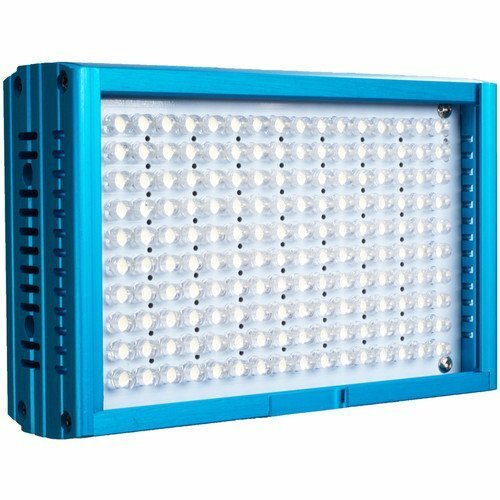 It features a high, 160W equivalent light output with a 45° flood beam angle. 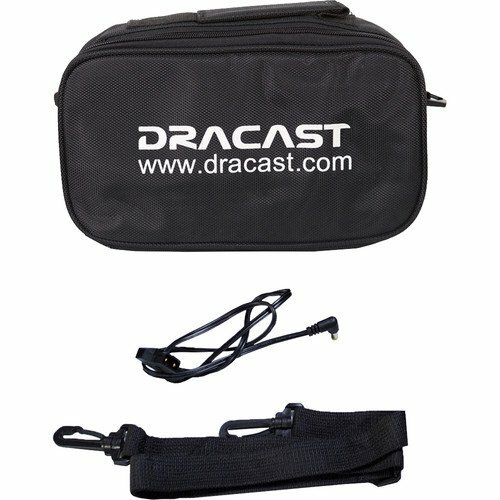 It’ll give you approximately 20 ft effective distance.